AXON’s Type 44 Full Bore Gate Valve, are designed especially for harsh environments during frac, snubbing, or workover operations. These Full Bore Gate Valves use the floating slab type gate with industry proven metal sealing. Standard API ring gaskets are used to seal the bonnet to the body. 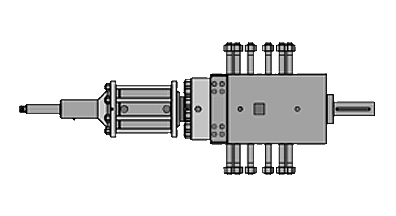 AXON offers two types of manually operated valves. The basic manual valve has a non-rising stem and a standard stem to gate thread actuation. This is available in only the 10,000 and 15,000 psi W.P. valves.